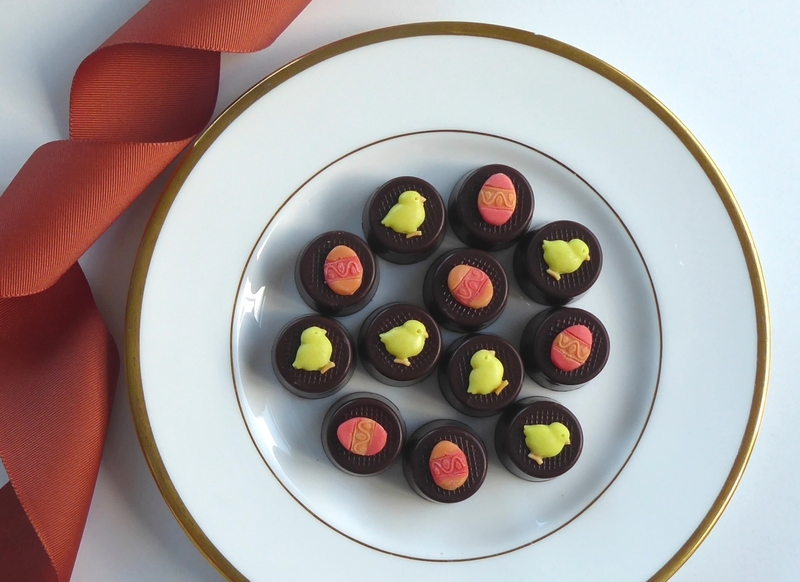 Chicks and eggs - perfect for Easter chocolates! 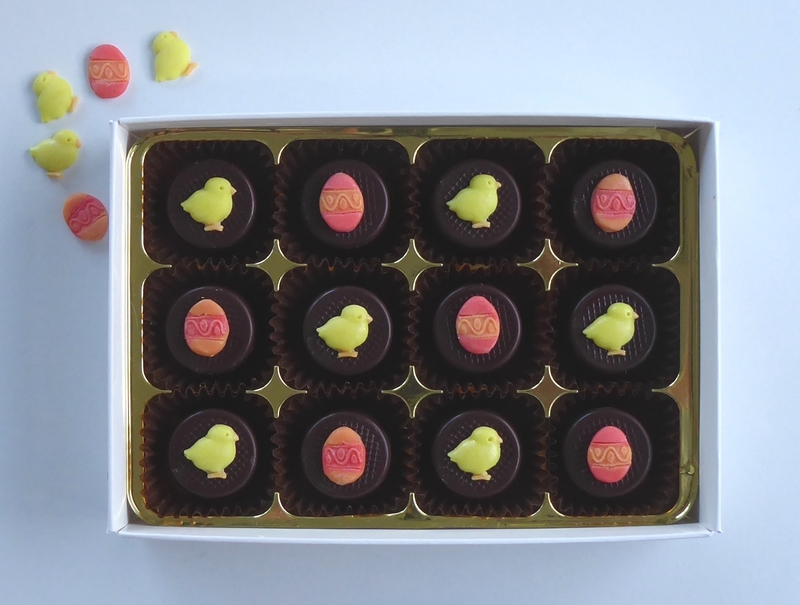 Our handmade decorations sit on top of deliciously filled chocolates and make a lovely change from the traditional eggs this year. Choose from quality milk or dark chocolates, with a choice of fillings - almond marzipan or our special silky smooth, melt-in-the-mouth fondant style filling in a range of flavours.